Have meaningful grades in your grade book so you can talk about the child’s progress. Take time to get to know each student so you can demonstrate at the conference that you’ve made a personal connection with the student. Learn as much as possible about the process for parent/teacher conferences. Some schools require that the student take an active part in the discussion, so make sure your students are prepared, as well. Compile (or have your students compile) folders of their work to share with their parents/guardians. Include writings, assignments, assessments, and artwork to showcase their learning so far this year. You may want to add other items, such as grades, assessment results, and other items to share, as well. Find out what materials and information teachers traditionally share at the conferences, since it can vary greatly from school to school and district to district. 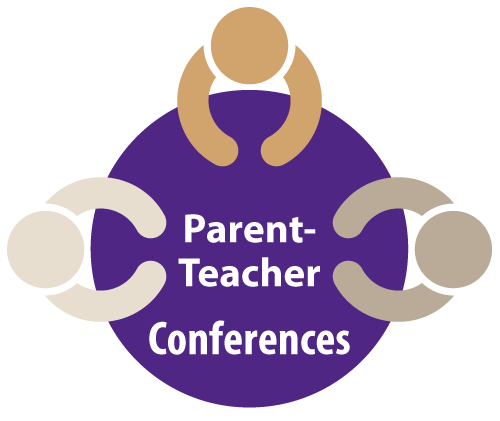 Know the details of the conferences—when, where, guides on how much time to spend with each student’s parent/guardian, when to suggest an individual meeting to have more extensive discussions, etc. Prepare a flier with important upcoming dates, a list of needed classroom items if they would like to contribute, and a brief look at upcoming important dates to help them be involved in their student’s education. Step No. 1: Smile and introduce yourself. Be the first to offer a handshake. Realize that the parents/guardians are taking time from their busy schedule to visit with the child’s teachers. Since we encourage family involvement in their child’s education, we need to appreciate their efforts. Be sure to thank them for attending. Make comments about concerns and accomplishments specific to that student. Provide specific ideas on areas where you’d like to see the student improve; provide specific suggestions on how the parent/guardian can help make that happen. Be prepared to answer if a parent or guardian asks when he or she can do to help. That’s a golden opportunity you don’t want to overlook. Many times parents want to help, but they’re unsure just how to do that. Make sure they know you value their input; provide additional contact information, and encourage them to contact you with any concerns or ideas. Keep track of which students have individuals attending the conference on their behalf. Many schools provide a sign-in sheet; if not, consider creating a roster so you’re aware of who attended and who didn’t. Review the list and consider making a personal effort to get parents/guardians of students you’re especially concerned about to set up an individual appointment with you. Following the conferences, briefly thank your students for having their parents/guardians attend the conferences. However, don’t overdo this; in many cases, the students can’t help it if the adults in their lives decline the opportunity to attend the conferences.